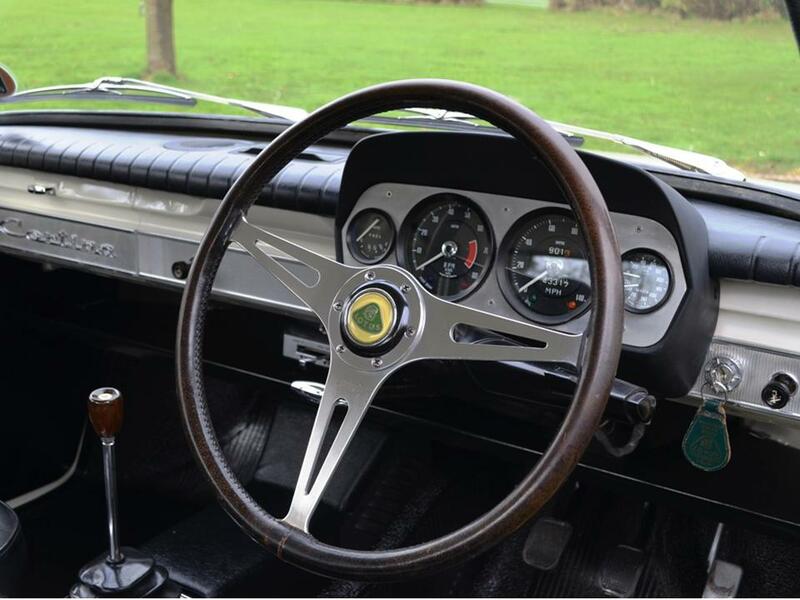 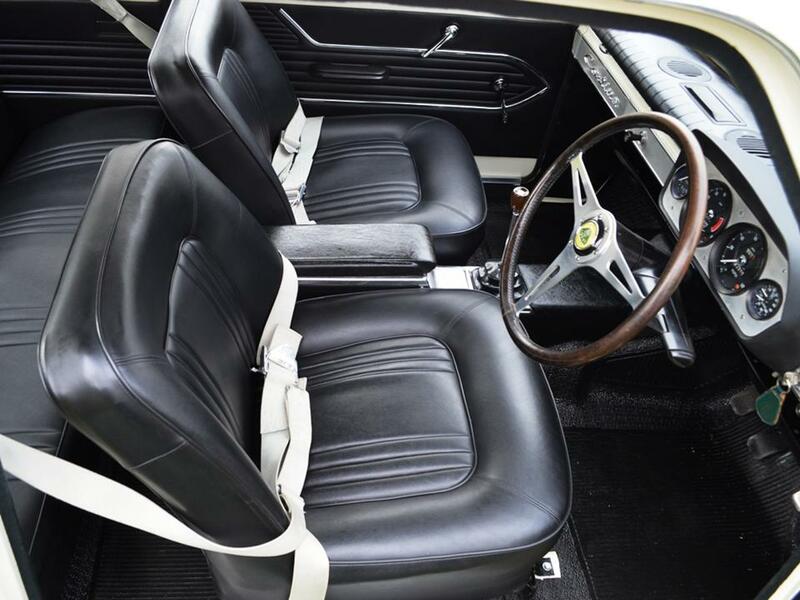 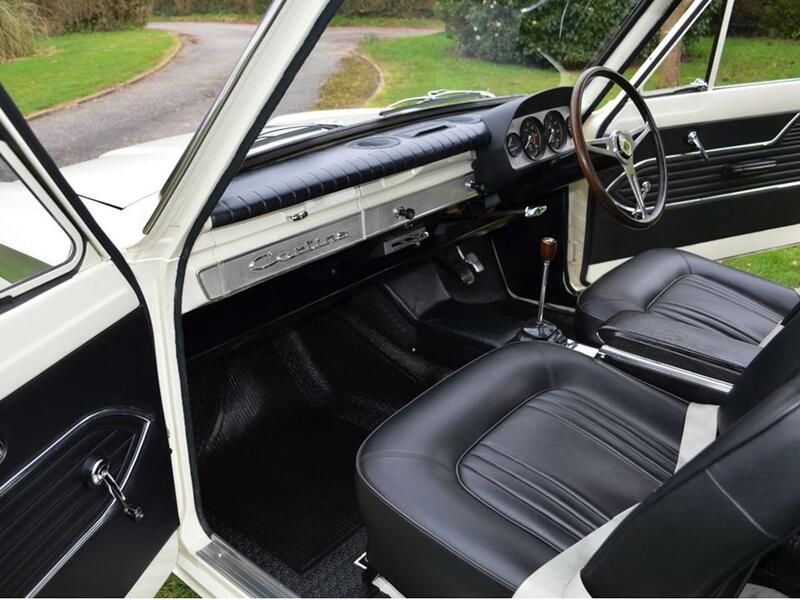 Apart from Jimmy’s racing Springall steering wheel, the interior is as a standard Lotus Cortina for this build date. 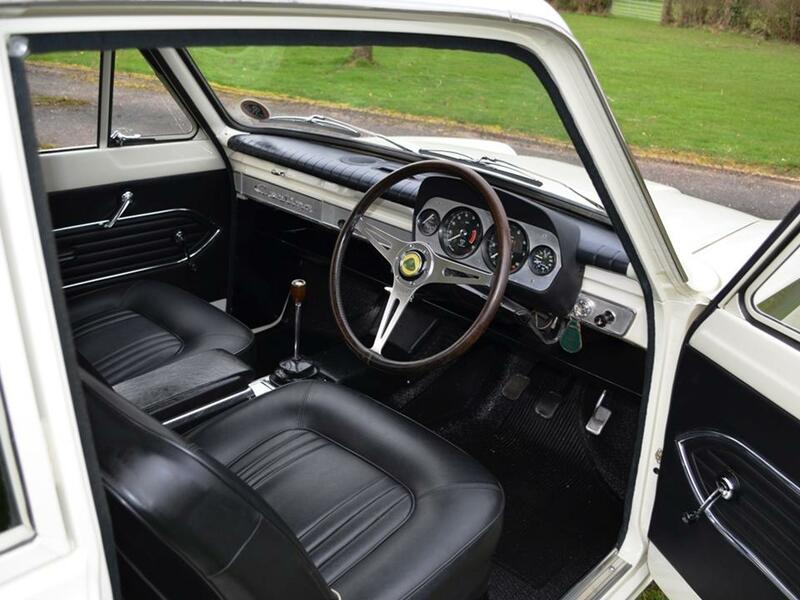 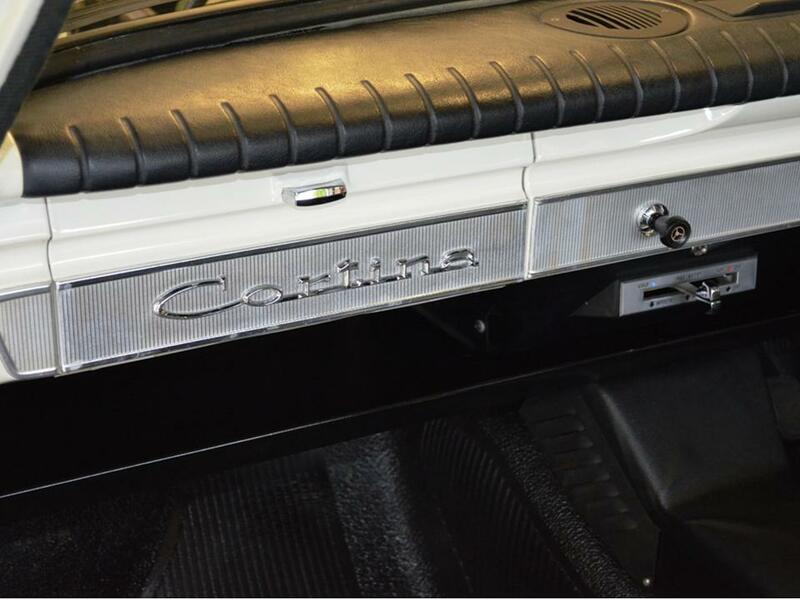 Note the ‘Cortina’ badge on the glove box. 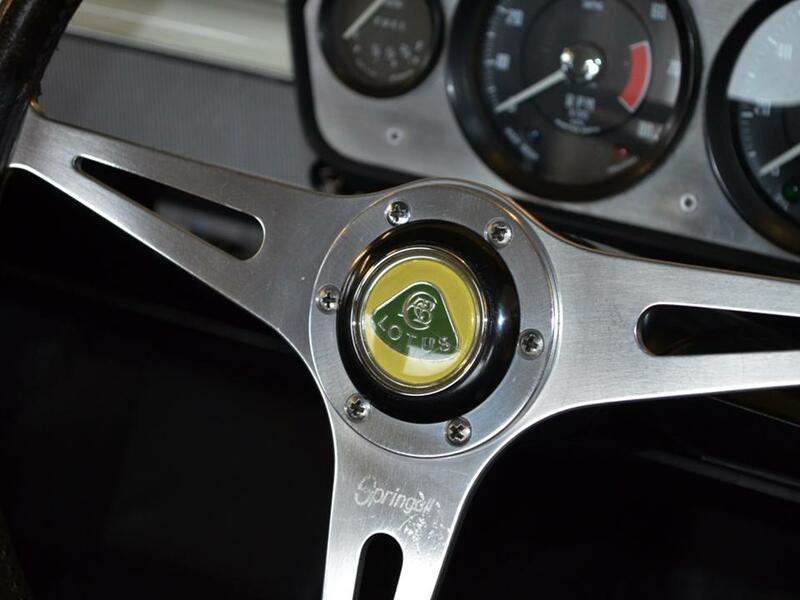 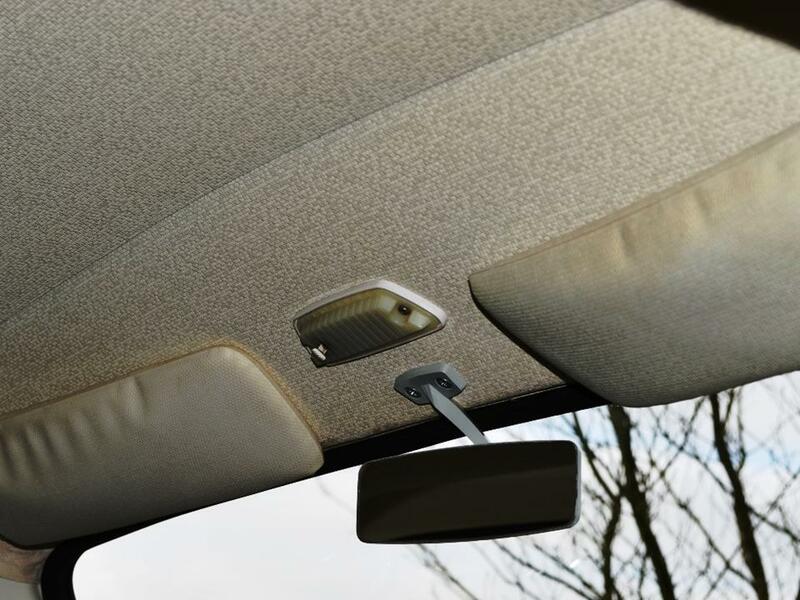 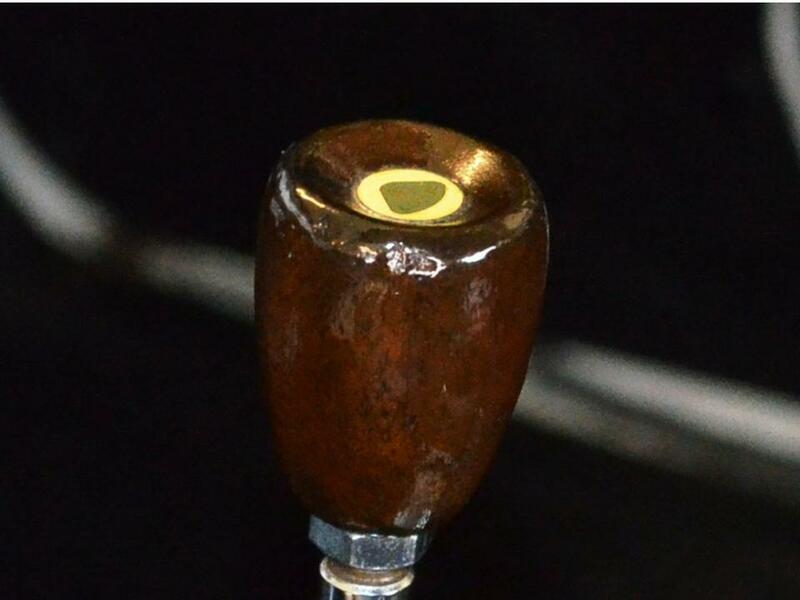 The first few cars had ‘deluxe’ badge, then no badge was fitted for a few months (see 178 TJH study) and then Ford got wind of there being Lotus badges on the horn push and gear knob, so insisted on the ‘Cortina’ badge being put on.